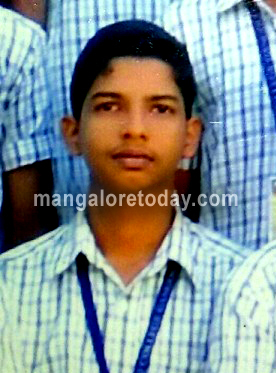 Kundapur, Jan 23, 2016: A teenager was found dead in his house at Trasi Kadopadi on January 22, Friday night. Though the exact cause of his death is not yet ascertained the suspicion is that he might have died of snake bite. The deceased is Rickson Dais(17), son of Walter and Jonita Dais. He was a II PUC student of Saraswati Vidyalaya Gangolli. Rickson who was busy preparing for his annual exams was alone at home while his parents were out on shopping. He was found lying unconscious on the floor when his brother Alwyn Dais returned home in the evening. Though Rickson was rushed to the local government hospital, doctors pronounced him brought dead. The body has been sent to Manipal Hospital for a post-mortem.